Preview of 2016 Crosspool Festival: your garden wanted! The confirmed dates for the 2016 festival are Friday 24 June-3 July, with the Summer Fayre scheduled for Saturday 2 July. This summer we have entitled the festival Carnival a summer party with great activities happening on the streets to coincide with this year’s Olympics in Brazil, the queen’s 90th celebrations and more besides. We hope it will be a colourful and exciting week for the community to get out and about, meet the neighbours, make new friends and try new activities. 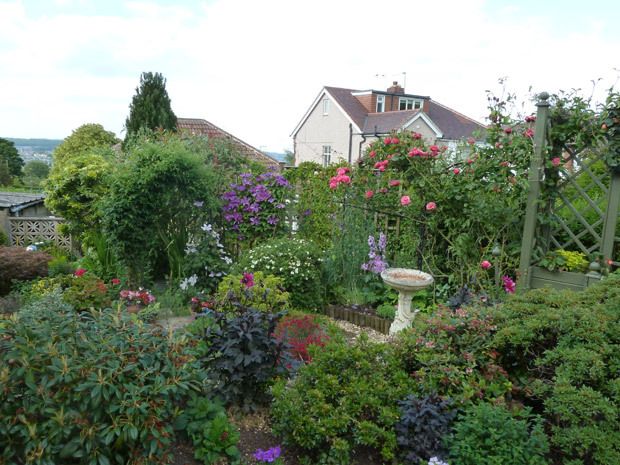 Some of the old favourites return such as Open Gardens. Why not share your garden this year? No one expects an immaculate garden, but we all enjoy looking at what each one of us has been doing on our patch. It’s a great way to be motivated to tidy up your garden and a good time to invite the neighbours round to share a hobby or a fabulous view over a cuppa. And you can make a bob or two for your favourite charity as all proceeds will go to the charities of your choice. So whatever the size and maturity of your garden, whether you are a beginner or have been opening your garden for many years, if you would like to join the gardeners open day, please get in touch. We will need your name and details by Friday 18 March 2016 in order to prepare the brochure for printing. If you would like to be involved in this in any way, or have thoughts about how such a group could be helpful within the community, please get in touch. Also coming again is the popular scarecrow competition. Entry forms will go out through the schools and will also be available from the shops at £3/entry. Scarecrows will be on show all week and will be judged by local sculptor, Noel Lockley. Prizes will be awarded to the best scarecrow makers in recognition of their ingenuity and creativity. The competition theme is Carnival and Olympics to fit in with the festival theme, so bright and colourful like the amazing costumes some of the carnival goers wear, fantastical animals, sportsmen or something completely different – have fun with that! For further details please contact beckiegreenuk@yahoo.co.uk. Another great activity that is now established is the well dressing. In case some of you don’t know what this is, a well dressing is the unique Derbyshire tradition of elaborate pictures made for the most part of individual flower petals pressed onto clay covered boards which seems to date from Victorian times to celebrate the blessing of water in any given village. Why do it in Crosspool? It is a great opportunity to be creative with flowers and to celebrate life itself in our community. So if you are looking for a new venture, why not try your hand at this old craft? The team is looking for new helpers. Instructions given, so no need for previous experience. Just a few hours the week before the festival is needed to be involved in this. If you want further information, get in touch. We are also looking for a few more volunteers to help with a new history activity, a new photo competition and general helpful bits and pieces. No previous experience necessary. If you think you could spare a few hours to help or would like further information, please get in touch as soon as possible. Contact Lindsey on lindseybeagles@gmail.com or phone 0114 230 1041. This entry was posted in arts, crosspool, crosspool festival 2016, events, gardening and tagged open gardens, scarecrow competition, well dressing. Bookmark the permalink.